Ear training (Aural) is often overlooked and under valued among guitar players. Developing your ear really is a critical step in the process of learning music because with a good ear you learn faster but you also learn to articulate. Students with weak aural skills can often rely too heavily on tab and can become frustrated when their playing sounds different to the recording they are trying to emulate. An untrained ear will leave you in the dark musically speaking. The solution of course is to train your ear and the best way to achieve that result is through quality software. 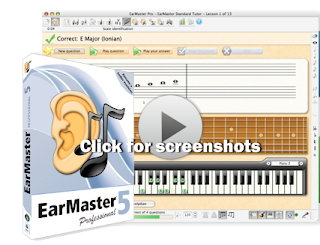 We recommend the Earmaster software. There are a few different companies making software but for all round value I think the Earmaster Pro package is the best. Follow the link below to purchase your copy and use the code 'g4guitar' to receive a 15% discount. BUY NOW by following the link. 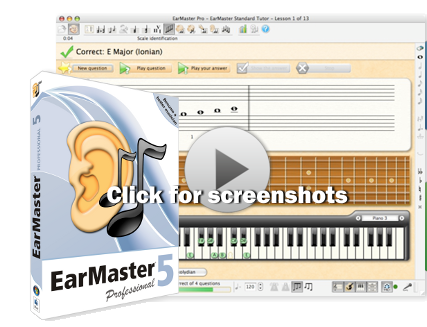 Earmaster Software can be purchased via the G4 Guitar Online Shop.